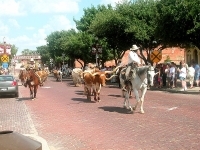 Dallas is a huge and diverse city where visitors have no shortage of things to see and do. Downtown Dallas is home to many of the city's iconic museums, including the Dallas Museum of Art, the Old Red museum of Dallas County History and Culture, the Nasher Sculpture Center, and of course the famous Sixth Floor Museum at Dealey Plaza. 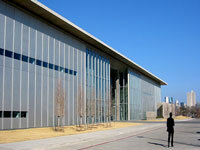 The downtown area is also home to the Dallas World Aquarium and Steinway Hall. Several companies offer Segway tours of downtown Dallas, which can be a fun and informative way to explore the area. 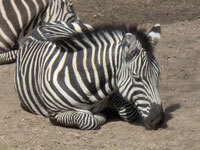 South Dallas is home to the State Fairgrounds, which are open year round, and the Dallas Zoo. Many famous attractions most associated with Dallas are actually located in the suburbs: Arlington is home to Six Flags Over Texas, Six Flags Hurricane Harbor, the Rangers Ballpark, and AT&T Stadium. Fort Worth is just as fascinating as its more famous counterpart, with a plethora of museums that include the National Cowgirl Museum, the Stockyards Museum, the Texas Cowboy Hall of Fame, the Amon Carter Museum, the Kimbell Art Museum, and the CR Smith Aviation Museum.